Dallas-based Dickey's serves Texas-style barbecue. Each restaurant smokes all of their meats on-site the same way it was done in 1941. 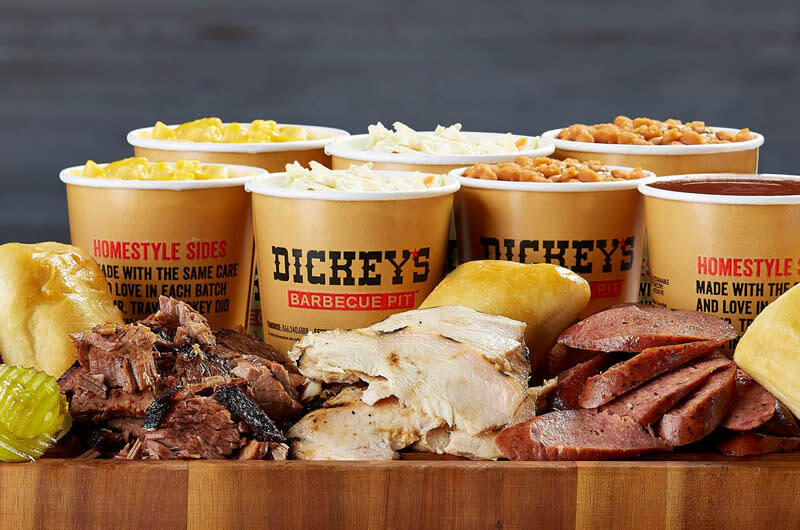 Serving up hickory-smoked beef brisket, pulled pork, ham, polish sausage, turkey breast and chicken, Dickey's also offers an extensive array of home-style sides from jalapeño beans to macaroni and cheese. Buttery rolls are served with every meal along with complimentary ice cream and dill pickles.